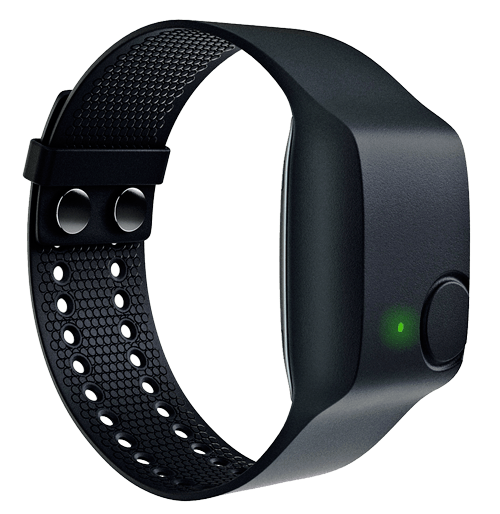 What Happened to the Q Sensor? Affectiva stopped selling sensors in April 2013 to focus on their market research software product, Affdex. Picard then founded a new business, Physiio International Inc, to develop consumer-friendly wearables with clinical quality data. In April 2014, Physiio completed a merger with Empatica Srl, and the parent company was renamed Empatica Inc.
Empatica sells two sensors today: E4 for researchers to use in data collection and Embrace for helping consumers who need alerts. The E4 measures photoplethysmography (PPG), electrodermal activity (EDA), temperature and 3-axis accelerometer data. PPG provides continuous heart rate and heart-rate variability data. Thus, this sensor measures both main branches of the autonomic nervous system: sympathetic and parasympathetic. Embrace runs apps to detect and alert to significant changes in EDA, motion, and temperature. It also tells the time. One app alerts to changing autonomic stress levels. Another app alerts to combined motion-autonomic events that have been shown to happen during seizures. The data measured by Embrace were shown in our peer-reviewed scientific publications to be especially significant during post-seizure events that can be life threatening. More people in the USA die every year after a seizure than from house fires or SIDS; we hope our work will help prevent that! In the 90's at MIT, I started new research on the measurement of emotion. Emotion changes with what matters most to people, and some professor's lab experiment is usually not at the very tippy top of that list. 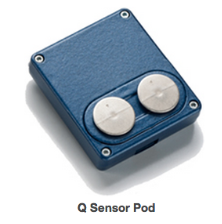 To get data outside the lab, we created several new sensors. For example, we built electrodermal activity (EDA) sensors that could be worn on the palms (see the Galvactivator used for audience feedback as the first example). These sensors lit up and "glowed" when the audience was excited (live demos, live interaction, Q&A and laughter). The same sensors decayed exponentially in brightness, going "dim" when there was PowerPoint. We collected data indicating that people were becoming very stressed on the inside yet didn't look that way on the outside. People told us that sometimes they would get so overloaded that they would "shut down". Outwardly, they might tune out. Inwardly, they might be ready to explode. To tune-out was to calm down, but how could they signal that to others? Several told us, "If only I could be warned before I get to the point of a meltdown." A lot of people are alexithymic - they don't fully read their internal feelings or know how to name them, or quantify them. A technology designed to help measure the autonomic components of stress should be non-stressful to use. We made the sensors especially easy to pull on or off, and more. Our ethic is that it's important that the wearer be in control of what is being sensed. After all, lack of control increases stress. We obtained very surprising medical findings: For example, we can measure several kinds of seizures and their autonomic disruption, correlated with dangerous changes in brain activity. We also obtained exciting findings related to pain measurement, sleep measurement and memory consolidation during sleep. More studies are underway today in many medical areas - also anxiety, depression, PTSD, bipolar, obesity, workplace stress, and more. We called our MIT sensor the "iCalm" and built versions that both logged data and streamed it wirelessly. 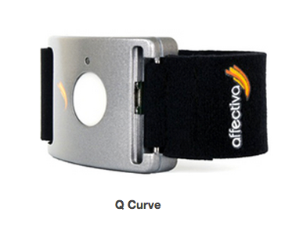 In 2010, Affectiva created and sold the "Q Sensor". 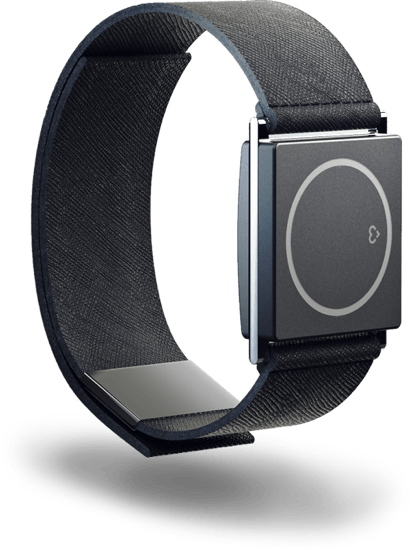 This was the world's first comfortably wearable (24/7) and scientifically accurate electrodermal activity sensor, also sensing temperature and 3-axis accelerometer data and logging months of data at a time. (Electrodermal activity is measured in our case as skin conductance and is closely related to what used to be called "galvanic skin response (GSR)." It is also sometimes called Electrodermal Response (EDR)). We built it for our own research to provide quality data while being wearable long-term, and it was worn comfortably and safely by infants, children with disabilities, healthy adults and athletes, and elderly. Affectiva was formed with two products, "Affdex", which was growing in the market research business, for ad pre-testing, and Q which was growing in medical. A little company has to pick one market to focus on, and our biggest investor was WPP, a world leader in advertising. Affectiva chose to focus on advertising and, in 2013, stopped selling sensors. Picard then founded a new business to provide comfortably wearable clinical-quality data, Physiio International. In 2014, Physiio merged with Empatica Srl., an Italian affective computing company, to create a new business Empatica, Inc. Today, Empatica serves the growing demand for a beautiful, comfortable medical-quality wearable sensor and highest-quality analytics.